Team17 have acquired a hefty £16.5m investment from private equity firm Lloyds Development Capital, increasing the indie publisher’s finances, ready for international expansion. If you’re all about the small studios, why not check out our list of the best indie games. Some of this investment has already been spent by the publishers, who acquiredThe Escapists franchise and its developer Mouldy Toof Studios. Previously they published the series, but now they own it completely. The Escapists and its Walking Dead-based spin-off was released last year with Team17’s help, generating nearly £14m. Lloyds Development Capital,part of Lloyds Banking Group, have takena minority stake in the company, so they may help out further if needed. 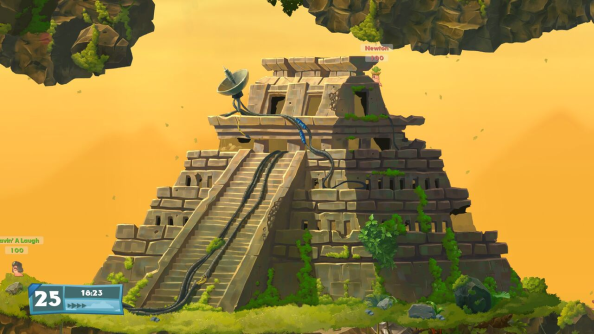 The funds will be used to expand Team17’s global interests. “LDC shares our vision and understands the importance of people and the way our incubation program and our business models work,” Bestwick says, referencing Team17’s bedding-in period where developers work in-house for a time.